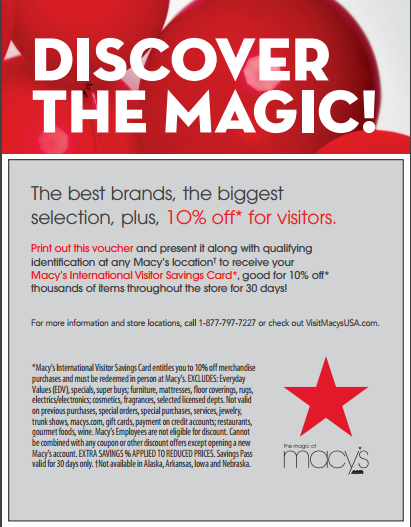 Macy’s discount card is free to international visitors and entitles shoppers to a 10% discount on in store purchases. This American icon has a huge superstore at Mall at Millenia, less than a 30 minute drive down the I4 from Hills Bay Hideaway. 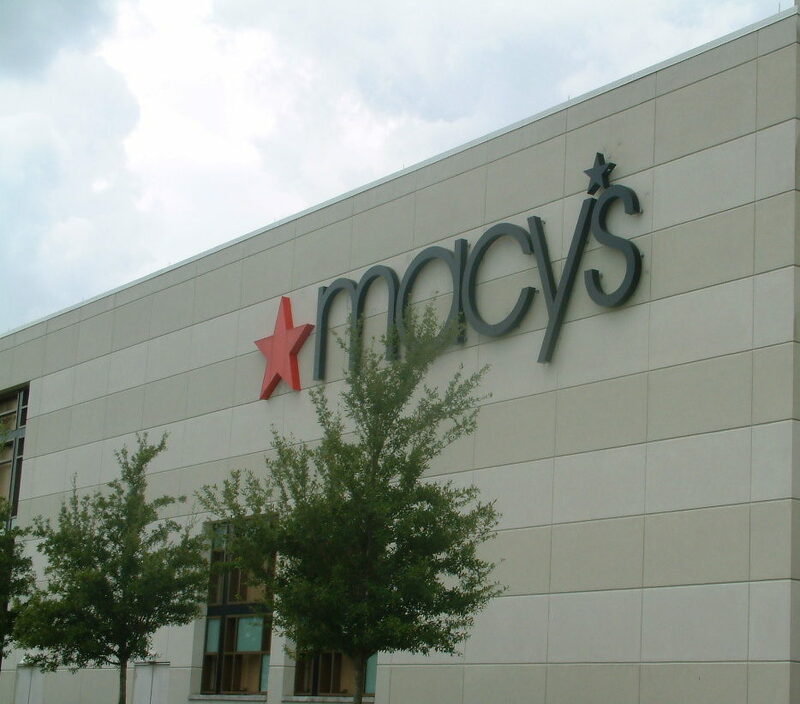 Using your Macy’s discount card is simple, you just show it to the sales assistant along with a valid form of id such as your driving licence or passport. Please note we advise against carrying your passport around with you unnecessarily, we strongly advise that it is locked away safely in the safe provided in Hills Bay Hideaway. The discount card is valid for 30 days from date of first use. You can either print the Macy’s discount card her or visit the official Macy’s website, the choice is yours. Driving to Mall at Millenia from Hills Bay Hideaway is easy, and takes less than 30 minutes. This high end mall has a host of shops and eateries including the amazing Cheesecake Factory. For more detailed driving directions use our Google map. Happy shopping.